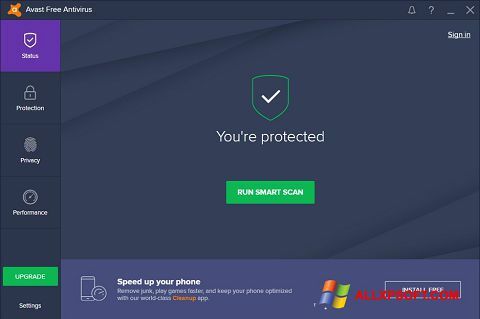 Avast Free Antivirus for Windows XP - a lightweight version of the popular antivirus software. There are enough features to effectively protect your PC. The program has five types of scanning, each of them is endowed with different depth checks. There is a set of built-in modules that protect email, instant messengers, browsers, file system. Attractive graphical user interface is easy to learn, convenient to use. All available functions and settings are clearly presented in the menu section. Promptly notify the user of detected threats and potential problems. You can free download Avast Free Antivirus official latest version for Windows XP in English.